BrainScope has delivered more than 170 handheld medical devices and more than 7.5K headsets to help the U.S. Army assess service members who may have experienced a mild traumatic brain injury. The company said Tuesday its BrainScope One technology uses electroencephalogram and other quantitative parameters to examine functional abnormalities and structural injuries that cause TBI. The Food and Drug Administration-approved device is built to generate a digital version of the Defense Department‘s military acute concussion evaluation process. 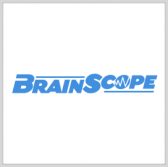 Bethesda, Md.-based BrainScope aims to transform how clinicians assess brain-related conditions such as concussion and mTBI through the use of multiple integrated assessment tools, artificial intelligence and digitization approaches.